I wrote this additional note to make sure the current guidelines, spelling out the difference between the two registration options for the Visionary Moms & Dads are clear to each of you. What we’re learning to do in this practice is allow ourselves to be guided by everything that shows up in our lives. What showed up in my life, was the number of failed treatment cycles in two recent Intro Series: 114. It was the tipping point that once again guided this update of the guidelines. Dear friends, please note that the Visionary group is different from every other group/class I lead. In every other session whether a Free Chat or Intro Series, or the Woodstock Workshop, all you need to do is pay the registration fee and show up. With the Visionary group we have a unique opportunity to truly make a difference in each other’s lives, in the world of baby making and in the world at large. In this group we’re making a commitment to remain engaged with each other for as long as it takes for you to hold a child in your arms or as long as you wish to be part of the group. We have an opportunity to engage in this practice in real time and in a very real way. Mirroring for each other the absurd reality of each other’s Orphans and the possibility that comes with taking Visionary rooted risks and following through with action. For some people that means being part of the circle for a few short weeks or months, for others it can turn out quite a bit longer. It’s like committing to a marriage. And in order for it to be a good marriage, rather than a bad one (in which people stay together out of fear of abandonment or “for the sake of the children, ”) we need to be able to hear one another. We also need to hear each other in order to co-create the most conception friendly space in which all of us can conceive and nurture our emerging Visionary Selves. The Visionary Circle is a different community because we need to walk our talk and live up to the name of this group.I haven’t shared this recently, but it was years after I started what I used to call Phone Circles, that one night after my practice I conceived the word Visionary. Prior to that, I would speak about the Orphan, the Ultimate Mom and the Student, the part of us that wanted to keep learning. But of course I couldn’t have asked for a more perfect name than Visionary. Because it was the Visionary that completed the OVUM model. It’s the Visionary who becomes the reliable adult that can take action. It’s the Visionary that can envision an image of her desire. It’s also the Visionary that must be able to see the potentially destructive effect of medical technology when we use it not as a healing tool, but a way of silencing the body’s call for help. For 20 years I have been witnessing the exploitation of our fears and the escalating consciousness of time as our greatest enemy. I have been speaking up about issues that most insiders do not acknowledge. After two decades of doing this work, I hope I have earned the privilege of receiving the support I need from the community I serve. The two registration options are meant to offer an opportunity for those of you who are ready to join me, to not only birth your family, but be a voice of change in one of the most misunderstood areas of healthcare. To be sure, I’m asking for a very small investment of your time. I’m also asking for action that will raise the value of these circles for all of us. I understand that some of you are not quite ready to engage in this particular way and I FULLY RESPECT your honest assessment of where you stand, which is why I lowered the fees for Participants to make sure they’re affordable to everyone. But I must do what I can, to encourage those of you who are ready to join me in speaking up, because those 114 failed treatments among the 30 women who attended the Introductory Series are not letting me get away with turning a blind eye on the damage done to women, the children, the air we breathe and the soil the next generations will depend on for sustenance. Engage with at least one aspect of the practice in a way that is safe and helpful, and come into our circle with something you wish to work on, or questions that have come up for you. You’re welcome to email me the day before the session if you’re burning to work on something. Why do I ask for this? In order to raise the value of this series for you and everyone else. I can’t promise that I will deliver on every request but if you stay engaged I’m pretty sure you will receive exactly what you need from each call. Post a comment on the latest blog as soon after registering as possible. Then post a comment before each call if I have written a new blog. Why do I ask for this? 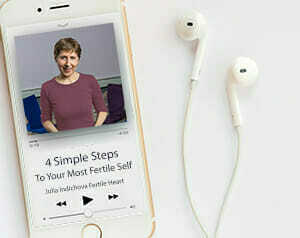 Because we get to keep in touch, get to know each other and initiate a more meaningful public conversation about “infertility,” and the FH practice. Become someone’s Golden Thread of Hope. 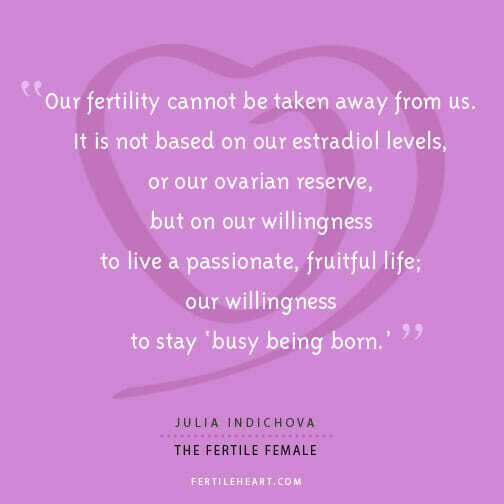 Take one action that might encourage someone to explore this work before their 9th failed IVF. (Without of course, spamming anyone) Follow through on this before attending the second session of the series. If you need help figuring out the best way to do it, read the Golden Thread of Hope document and if you still need clarification by all means email us. Why do I ask for this? Because you could indeed be someone’s golden thread of hope. I’m also asking for this, so that we could keep providing the many free resources we offer as a fiercely independent organization without industry sponsors and keep offering our educational workshops and teleconferences at fees accessible to people who need them. Thank you and congratulations on your courage to keep birthing every single unborn Self that is calling to be born through you as you keep walking to meet your child halfway! Here is a link to the Golden Thread of Hope document that offers further suggestions on outreach action.